Sua s'dei! Welcome to Cambodia, the place of religious belief, unique traditions and genuine locals. Leave behind your chaos life and find the way to this serene land, Cambodia promise to steal your heart and enrich your soul. 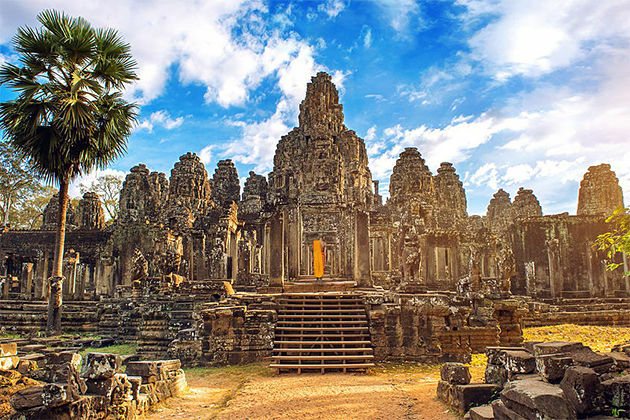 Rising from the tragic history, Cambodia still retains itself the charm in the sensational Angkor ruins, splendid architecture and sincere smile on local face. Your private driver and guide will pick you up from the airport then transfer you to hotel for check-in. On the first day, we will take you to West Barray, a popular recreation spot with locals living in Siem Reap. Not many tourists visit this attraction as it does not mention much in travel guide. It is a rectangular man-made lake within its center a small island containing a temple, called West Mebon. 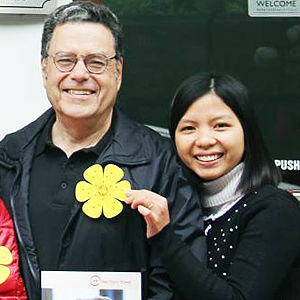 Then, continue your trip will be the silk farm where you can learn the Asian silk-weaving process. In the afternoon we head to the school of fine art Le Artisan D’Angkor that built with aim to help young rural people by giving them a job to earn a living with dignity. Artisans Angkor committed to preserving the traditional skills that rooted in the Khmer culture. 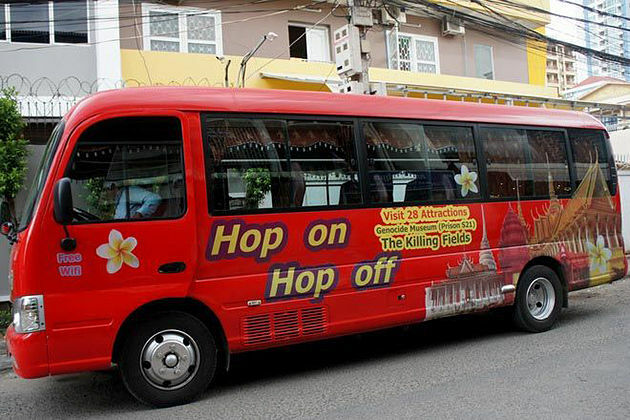 Continue your trip to one of the thousands killing field in Cambodia is the Killing Field of Wat Thmei. Have your breakfast at hotel. Today we will spend time discovering secret in temples of this religious land. Start the tour is the Southern Gate which carved skillful detail of gods and demons flank on each side of the entrance. Go further in this great city is amazing construction the Royal Enclosure, Phimeanakas, Elephant Terrace and Terrace of Leper King. Next, we visit the Ta Prohm, a temple covered in green moss intertwined with roots. 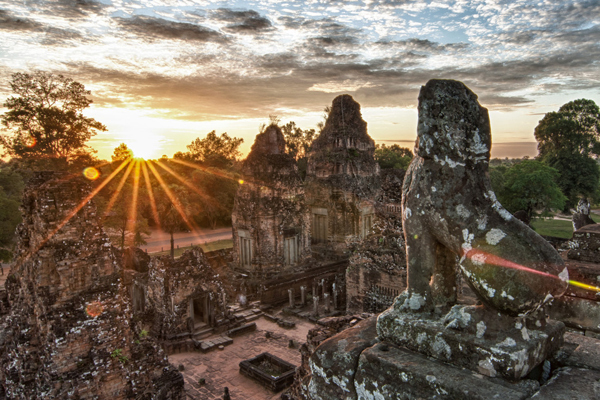 At Angkor center is the enigmatic Bayon, a temple of thousands of sculptural decorations. 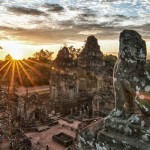 Come to Siem Reap, do not miss once in a lifetime opportunity to watch the spectacular sunset from the top of Bakheng mountain or Pre Rup temple. Some hour in night market will be a great time to take a break from temples. 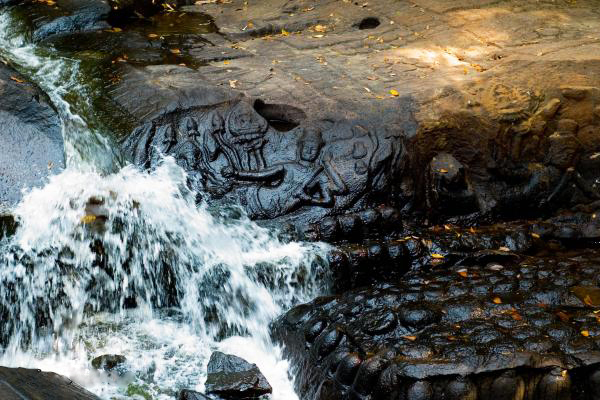 After having breakfast at hotel, you will head to the Thousand Lingas River at Kbal Spean by hiking through the tropical jungle. A number of carving of Hindu deities has made in rock along the river. Continue your trip to the unique temple Banteay Srei known as “Citadel of Women”. It has been said that the reliefs on this temple are so delicate that they could only have been carved by the hand of a woman. Then we visit another ancient temple called Banteay Samre, which worth the extra effort to experience the splendid architecture and detail carvings. End of the day come back to town to take a break after a long day or visit local market. Have breakfast at your hotel. Enjoy your free time until transfer to airport for departure flight. 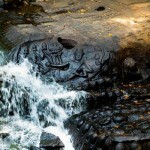 End of Siem Reap – Kbal Spean River Of 1000 Lingas Tour.